Welcome, you will find a variety of resources including contacts, websites for local and federal, books, ebooks, articles and more. This guide is not inclusive for everything you may need as a veteran or military student but a good starting place. ECC Veteran's Lounge is housed on the second floor of Donald Shook Student Center. 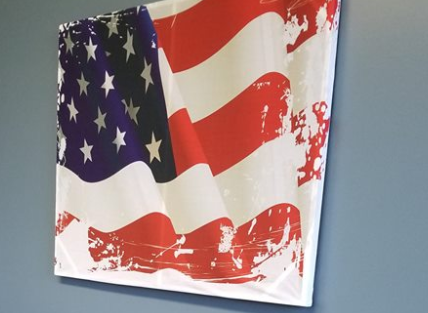 It's a place for veterans to relax, study and socialize. The space has large windows, comfortable furniture and also includes amenities of refrigerator, coffee pot, TV and snacks. For study needs, desks and computer are also available. Many of the lounge items were direct donations from ECC community and the local community. Making the transition from the military to higher education can be tricky. This clear guidebook will make the process easy, accessible, and understandable to any current or former member of the Army pursuing higher education while on active-duty or just leaving the service. Accompanying CD-ROM includes templates of sample military federal resumes. 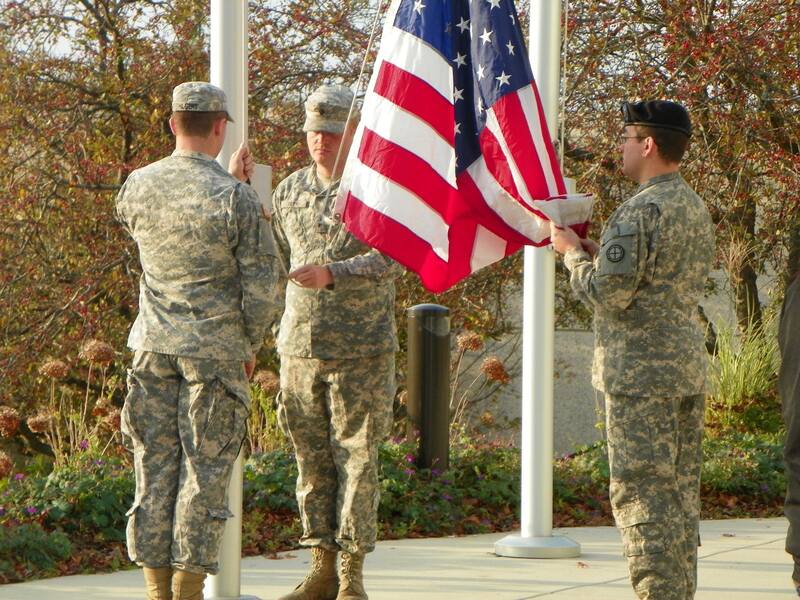 Your military skills and experience will be invaluable to you in civilian life. But your successful transition won't just happen. You need a network of people who can help you decide where you want to go and then "help you get there. "Don't know how to build that network? No problem: "Business Networking for Veterans" will help you. Not comfortable drawing attention to yourself? Don't worry: networking is about service, "not" showing off. And service is something you've already mastered. Authored by two former U.S. Marines and a world-renowned business consultant, "Business Networking for Veterans" will teach you everything you need to know to succeed. From start to finish, it focuses on the unique challenges you face as a transitioning veteran and the unique skills and resources you bring to the table. Helps returning military personnel find the best job matches for their training and interests, providing detailed job descriptions and noting the best-paying and fastest-growing occupations held by recent veterans. The mission in writing this book was to look beyond politics in order to explore the extent of the ongoing and long-term human cost of war and military occupation. This book addresses suffering of our troops and their families and our responsibility as a society, first to acknowledge and diagnose this suffering, and then to care for those who are affected by it. The children's issues picture book, "Why is Dad So Mad?" is a story for children in military families whose father battles with combat related Post Traumatic Stress Disorder (PTSD). After a decade fighting wars on two fronts, tens of thousands of service members are coming home having trouble adjusting to civilian life; this includes struggling as parents. "Why Is Dad So Mad?" is a narrative story told from a family's point of view (mother and children) of a service member who struggles with PTSD and its symptoms. Many service members deal with anger, forgetfulness, sleepless nights, and nightmares. This book explains these and how they affect Dad. "On June 29, 2009, Air National Guard major Mary Jennings "MJ" Hegar was shot down while on a Medevac mission on her third tour in Afghanistan. Despite being wounded, she fought the enemy and saved the lives of her crew and their patients. But soon she would face a new battle: to give women who serve on the front lines the credit they deserve. After being commissioned into the U.S. Air Force, MJ Hegar was selected for pilot training by the Air National Guard, finished at the top of her class, then served three tours in Afghanistan, flying combat search-and-rescue missions, culminating in a harrowing rescue attempt that would earn MJ the Purple Heart as well as the Distinguished Flying Cross with Valor Device. But it was on American soil that Hegar would embark on her greatest challenge--to eliminate the military's Ground Combat Exclusion Policy, which kept female armed service members from officially serving in combat roles despite their long-standing record of doing so with honor. In Shoot Like a Girl, MJ takes the reader on a dramatic journey through her military career: an inspiring, humorous, and thrilling true story of a brave, high-spirited, and unforgettable woman who has spent much of her life ready to sacrifice everything for her country, her fellow man, and her sense of justice." -- Publisher's description. When the "don't ask, don't tell" policy emerged as a political compromise under Bill Clinton in 1993, it only ended up worsening the destructive gay ban that had been on the books since World War II. Drawing on more than a decade of research and hundreds of interviews, Nathaniel Frank exposes the military's policy toward guys and lesbians. Introduction -- The moral obligations of civil servants and soldiers -- Ethical theory and war -- Staying in : Colin Powell and Wayne White -- Getting out : John Brady Kiesling, John Brown, and Mary Ann Wright -- The ethical soldier : Ehren Watada and Aidan Delgado -- Britain : resignations from the Blair government -- Individual moral responsibility in a time of war. 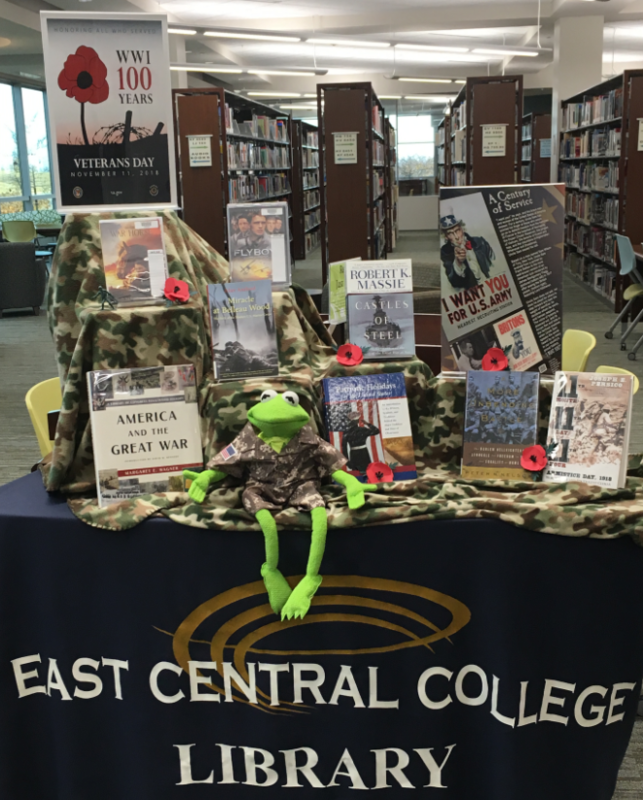 Welcome to East Central College's Veteran's Resources Libguide. You will find a variety of resources including contacts, websites for local and federal, books and DVDs and more. This guide is not inclusive for everything you may need as a veteran, but a starting place for many resources. eBenefits page for applications to VA benefits and Department of Defense. Use this link to begin a search for veterans' benefits. Military personnel records can be used for proving military service or as a valuable tool in genealogical research. Most veterans and their next-of-kin can obtain free copies of their DD Form 214 (Report of Separation) and other military and medical records. The Center for Minority Veterans is the Department of Veterans Affairs model for inter-and intra-agency co-operation, to ensure all veterans receive equal service regardless of race, origin, religion, or gender. We assist VA in executing its mission in the most equitable, efficient and humane way possible. IAVA is the country's first and largest nonprofit, nonpartisan organization for veterans of the wars in Iraq and Afghanistan. With more than 200,000 member veterans and civilian supporters nationwide, IAVA is building the next greatest generation with a three-pronged model based on advocacy, awareness, and assistance. IAVA programs include Smart Job Fairs, our signature New GI Bill calculator and Community of Veterans, a veterans only social network. The Disabled American Veterans organization provides this web site to link to federal benefits for veterans and their dependents. It also links to laws that govern veteran's claims and benefits and provides links to veterans groups and other similar sites. Provides links to topics like military pay, GI Bill, ASVAB preparation, transitioning, VA loans and others.